An old nursery rhyme insists that little girls are made from sugar and spice and all things nice. 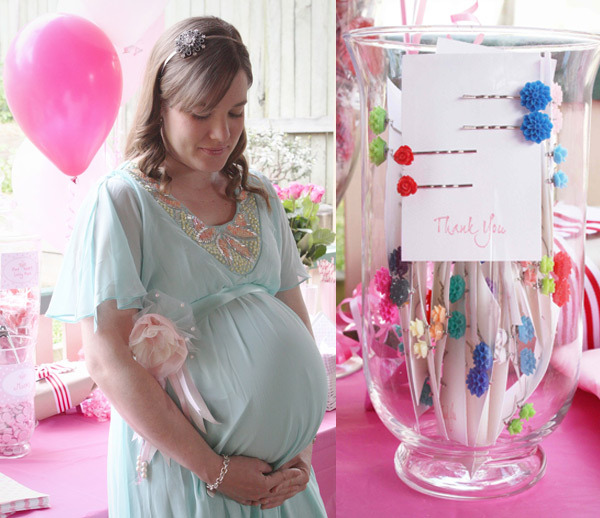 We’re guessing some of those nice things might include lashings and lashings of pink, tulle and lace, just like in Emma-Kate’s very pretty, very pink, ballerina-inspired baby shower. Put together by her sisters Jasmine and Holly-Anne, this is one baby shower where guests were in no doubt about just what sort of bundle Emma-Kate was expecting. Dance has been part of Emma-Kate’s life ever since she was a little girl herself, so ballet – and, more to the point, ballerina pink – were the obvious choices for her shower. Lucky then, that she was expecting a girl! Emma-Kate and her sisters made the beautiful shower invitations (shown top) themselves, using bits and pieces sourced from various Etsy stores, including Krazy Kate Designs and Pickled Cherry Paper. They added a subtle ballet element with printable ballerina menu tags from another Etsy store, Tomkat Studio. 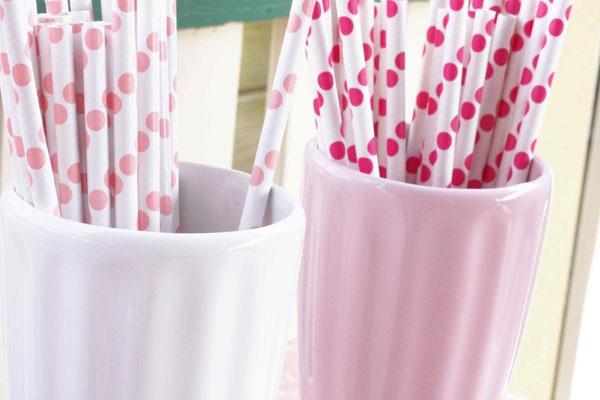 In fact, many of the other delights gracing this pretty baby shower came from Etsy, including the pretty pink paper straws and the paper cups used to hold the rocky road treats – it’s such a treasure trove of party marvellousness. Now, onto the mouthwatering menu. 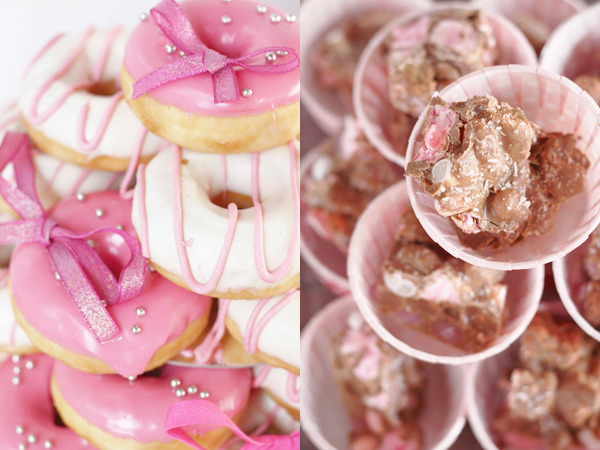 Guests supped on homemade sausage rolls and baby quiches before getting their sweet cravings sated with homemade cupcakes, rocky road, a doughnut cake from Dreamy Donuts, plus a plethora of pink lollies. 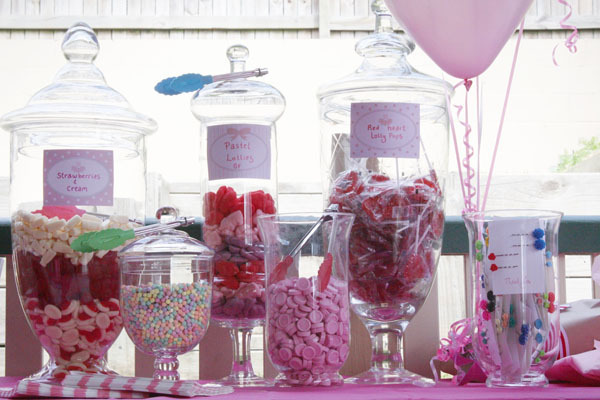 Guests were invited to fill pink paper bags from Harry Brown Designs with as many sweets as they liked to keep their sugar levels up on the way home. We can’t help but adore the sweet hairpins Emma-Kate (pictured below) and her sisters also made as thank-you favours, using bobby pins, cabochons and other bits and pieces from – you guessed it – Etsy! If you feel inspired to make your own, you can find all the items they used at Lou Lou and Betty, Jacs House, Cabochon Cottage and Cabochons and Settings. 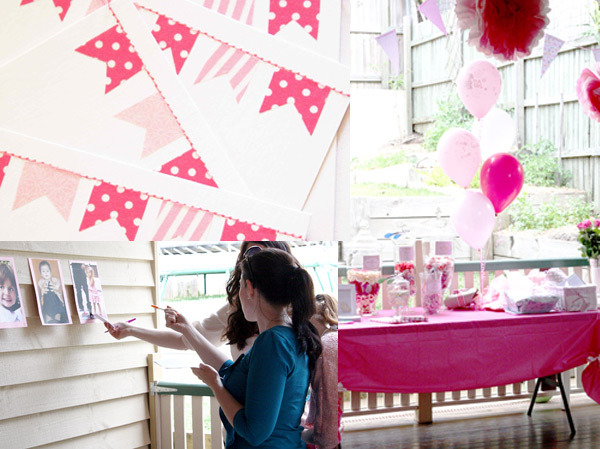 Of course, a baby shower isn’t a baby shower without a few silly games. 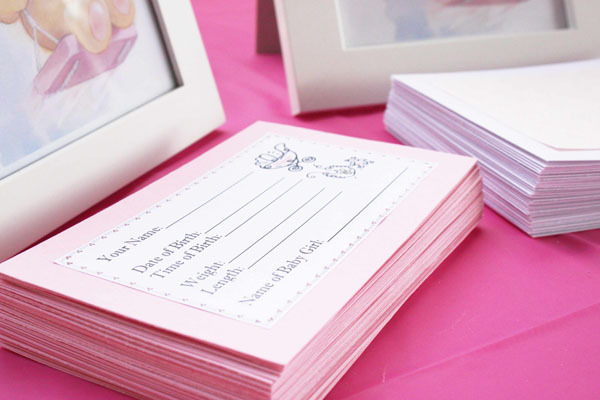 Guests were invited to guess the baby’s name, arrival time, weight and length – though of course it was still a few weeks before there could be a winner – and had to match a list of celebrities with their baby pictures. 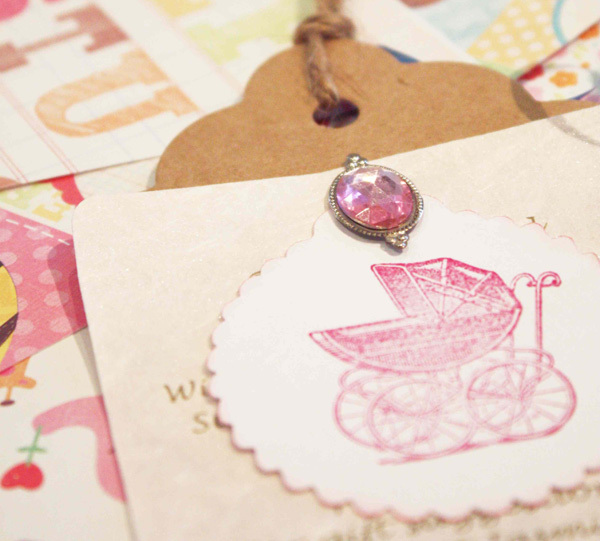 Everyone also took time to compose a special message or wish for the baby, to be placed into a keepsake book – a beautiful idea. As much as we adored this shower all tutu much, our absolute favourite touch wasn’t any of these wonderful things. It was that the sisters went to great trouble to make sure Emma-Kate’s very first ballet teacher could attend, installing her as the dual guest of honour at the shower, much to the mamma-to-be’s delight. 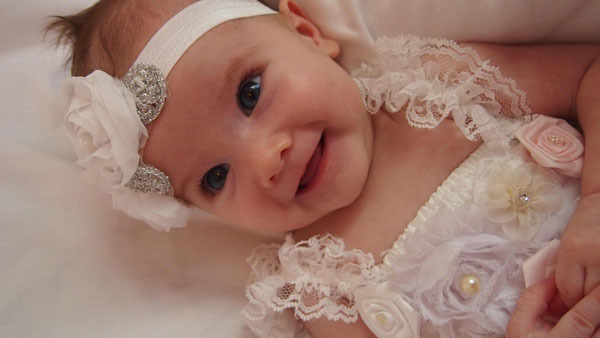 Now say hello to the little darling (and possible future prima ballerina) that inspired this celebration of all things girly and pink, Scarlett Grace Eva-Joy. Welcome to the world, baby girl.